Today’s plate is inspired by the beautiful fallen leaves and the amazing colours of Autumn. Made with: cavendish dried bananas, pomegranates, melon, pineapple, pear and pine nuts. 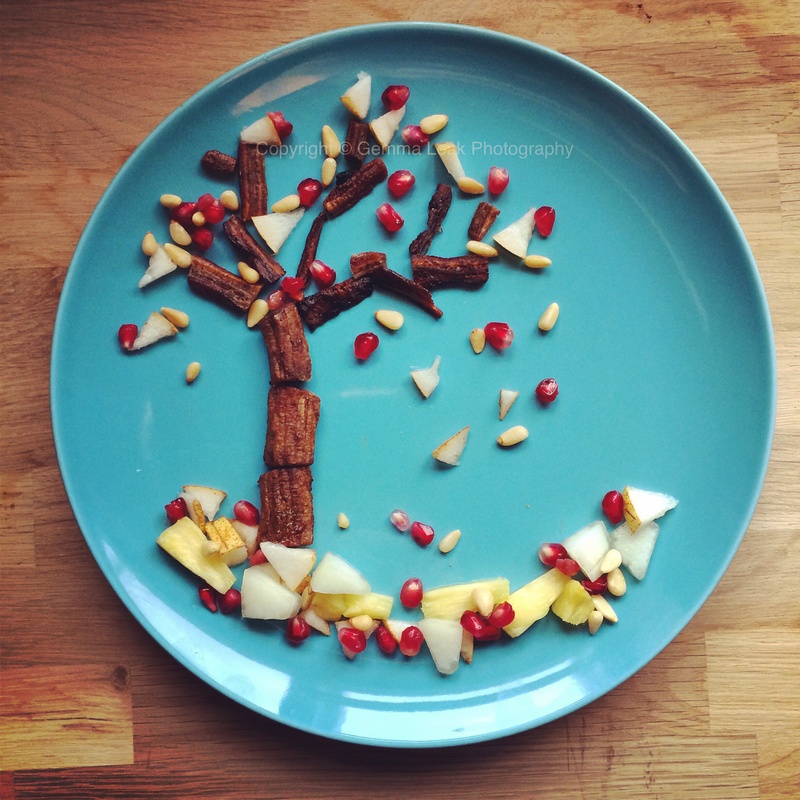 This entry was posted in Food art and tagged Autumn, childrens food, Foodart, fruit plate. Bookmark the permalink.